Within the past year, I purchased a Flip Cam Ultra HD for video and I loved the simplicity with using it. A lot of the 24 Franklin movie we made was shot using the Flip Cam. The only downside to the Flip Cam Ultra HD was the fact that I couldn't choose a video size; everything has to be shot in HD which leads to really large file sizes. Don't get me wrong, the quality is great, but I don't always need HD video. For my still camera, I also own a Canon Rebel XT which is a DSLR camera with interchangeable lenses. I love my camera but it's a lot to carry around when I want to photograph things. For Christmas, my wife wanted to get me a nice handheld camera and I wanted this camera to also have the ability to do video like the Flip Cam did. First, she bought me the Kodak Zi8 but after using it for a day or so, I realized I didn't like it. It was a video camera that took photos, but the photos were really just "still frames" of the video. There was no flash. There was no way to focus when taking still pictures. 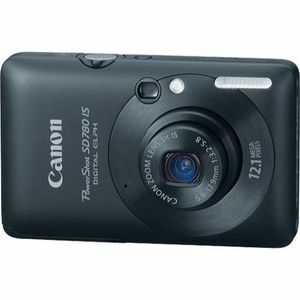 We ended up returning the Kodak Zi8 and getting the Canon SD780 IS. The "IS" stands for Image Stabilization. This helps a lot because the camera is TINY and I have big hands so when taking a picture, even if I can't hold the camera that steady, the IS compensates for that. The Video setting allows me to shoot video at 320, 640 or 1280. The Flip Cam doesn't give me a choice. I like being able to choose if I want video at HD or Standard Definition. The still camera can shoot up to a 12 megapixel image. Granted, I don't really need anything that large, but having the capability is nice. I bought an 8 GB SD card to put in the camera which should be enough space for what I want to do (could get 90 mins of Standard video if I needed it). I think I read the camera can take up to a 32 GB card. Nice pinhole microphone on the front of the camera and it picks up sound pretty well. Haven't tested this yet, but the camera has an HDMI output port so I could play video or show pictures to my nice HDTV. The Canon pics and videos download fine to iPhoto '09 and once the videos are in the iPhoto Library, you can see them in iMovie for video editing needs. I did not test this on a Windows machine, so not sure how the files play with Windows Movie Maker.